30-Day Price Match on Tires! On select tires if you find a Better Price within 30 Days of Purchase, We'll Refund the difference. Eligible tire brands: BFGoodrich, Bridgestone, Continental, Dunlop, Firestone. General, Goodyear, Hankook, Kelly, Michelin, Pirelli, and Unroyal. *Ad, written estimate, or Internet quote for identical tire(s) from a competing tire retailer/installer located within 50 miles of the dealer required during guarantee period for price match. Offer valid at participating dealers. Receive $20 off your vehicle repair if the total cost is $100 or more and the repair includes installation of a part with a Limited Lifetime Parts Warranty. 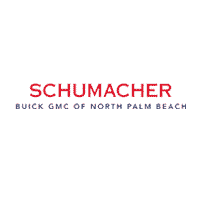 Purchase an eligible, Schumacher-installed part and if it ever needs to be replaced, the Limited Lifetime Parts Warranty will cover the cost of the new part. *Select GM OE parts only, which must be customer paid and dealer installed. The Limited Lifetime Parts Warranty does not include labor costs for required dealer replacement-part installation. Go to buickpartswarranty.com for full warranty details.